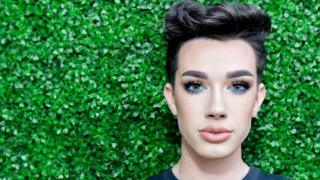 James Charles has a YouTube channel followed by almost 14 million people, and this weekend, the beauty vlogger, makeup artist brought Birmingham's city centre to a standstill - causing traffic and queues. He was visiting the Bullring shopping centre in the city where he was opening a makeup store. 8,000 fans went along to catch a glimpse of the popular Youtuber and he also met 250 fans who were randomly selected through a ballot. 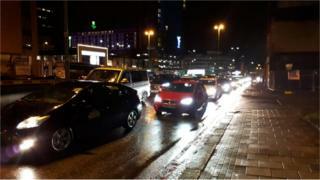 The traffic in Birmingham city centre lasted for hours, with some people even abandoning their cars overnight. Extra police officers were brought in to help control the crowds inside the shopping centre. 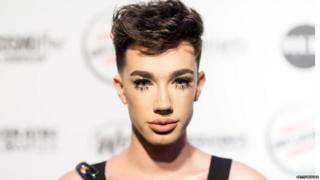 James Charles, shared a clip of the huge crowds at the shopping centre, writing: "I can't believe this is my life." He also said it was the biggest meet-and-greet session he had ever done. James is 19 and lives in New York. He is a YouTuber, a vlogger, makeup artist and a model. His channel has 13.7 million subscribers and 700 million views. He became the first male 'cover boy' to be on the front of the magazine CoverGirl. Retouching photos: Is it right or wrong? Zoella's new book gets mixed reviews but is the criticism fair? What's it like being a YouTuber?